℗ 2017 Hamilton Uptown Limited Liability Company under exclusive license to Atlantic Recording Corporation for the United States and WEA International Inc. for the world outside of the United States. A review of the music, as well as the show! Having seen the musical in New York recently, I can tell you the acting is only half of it. Within the first few minutes, I guarantee you realize that the music is what tells the story (I mean the stage is set up like a turn-table! Great work David Korins! 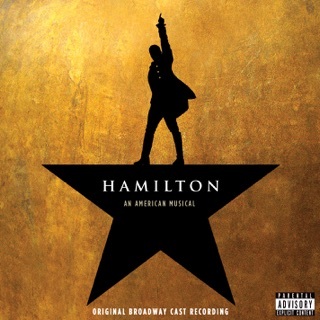 ); Burr's growing jealousy as Hamilton takes the spotlight, all the while planning his attack in the shadows among Hamilton's rivals who, sadly after his death, realize how the world will never be the same without him. The time and dedication Lin has poured into his instrumentals is clearly shown here, as well as in the show; The subtle recall of the instrumentals heard first in "That Would Be Enough" in songs such as "Best of Wives and Best of Women" stands out among others because you listen and realize Lin almost had written character interactions into his music, such as those notes heard while he is interacting with Eliza, both during the pregnancy reveal and hours before his final duel. It's beautiful. 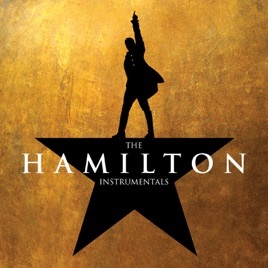 As a listener, you can hear the whole story of Hamilton's uprise (and our TRUE main character, Burr's growing jealousy) play out with just instruments! I find that so impactful. Let that be a lesson to other composers, as well as other "talented" musicians of today: make music with meaning, substance, and a story. RAISE A GLASS TO FREEDOM! I didn't know this was something I needed until now! So amazing! I may have gotten tears in my eyes when I first heard about the instrumental release. I'll be over here rapping.